The premium compact market in China has the potential to grow far beyond what it is today. 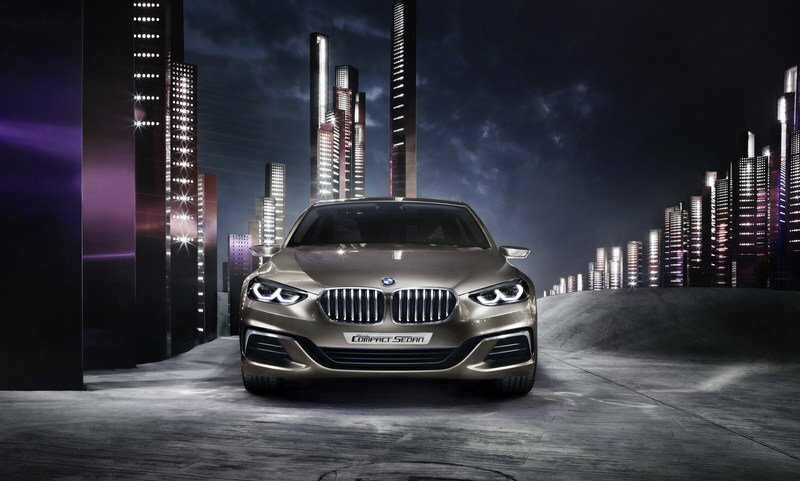 BMW has taken huge interest in this growth potential and has now released the BMW Concept Compact Sedan at the Auto Guangzhou show in China. 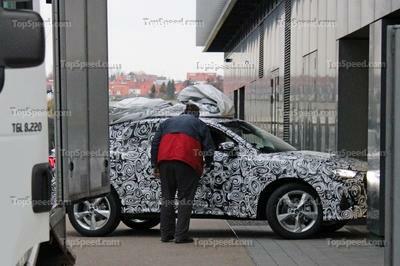 That may be true, but will it get enough of a following to let BMW safely “inject new life” into the compact segment? 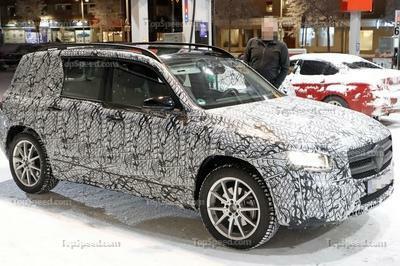 We don’t know the answer to that, but the concept looks production ready, so I would say Bimmer is hopeful. For now, however, let’s take a closer look at the Concept Compact Sedan. Continue reading to learn more about the BMW Concept Compact Sedan. As mentioned before, the exterior clearly says “BMW” all the way around. A long wheel base gives the car a stretched look that really fits it, given its physical size. Up front, the car has BMW’s trademark two-piece grille. 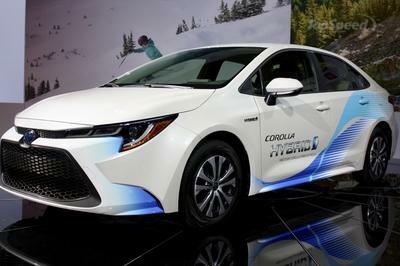 The headlights come to a point near the front grille and wrap around to sit flush with the front fenders. Inside the headlight lens are two “sawn off” circular LED rings that point toward the grille. The chrome stripe that runs above and between the fascia’s corner vents adds a distinctive and elegant look to the front end. The chrome stripe that runs above and between the fascia’s corner vents adds a distinctive and elegant look to the front end. On the side, a strong, creased body line runs from the front edge over the door, over the soft-touch door handles and back to the rear tail lights. Below it, there is two, more-more rounded lines that run between the wheel wells – effectively giving the doors a “rippled” look. The side-view mirrors are short and long, while chrome trim surrounds the side windows. The car rides on dual, five-spoke wheels. The interior of the Concept Compact looks more like the cockpit of a space ship with a steering wheel. It looks like most of the interior is layered in black and tan leather. The seats, primarily grey with black accents on the outside, also has sharply defined stitching that gives the seats a unique look. An orange insert in the middle of the seats add to the color scheme of the interior. The front, center of the dash board is accented in chrome trim, which stylishly outlines the rear of the instrument cluster as well. The front, center of the dash board is accented in chrome trim, which stylishly outlines the rear of the instrument cluster as well. A bright orange hue emits from the dual gauges on the instrument cluster. Adding that orange lighting are orange LED stripes that line the front of the dash, turn signal and wiper levers, climate controls, center console, and doors. The three-spoke steering wheel has no buttons at all, and is wrapped primarily in grey with a small section of black leather at the top. A small heads-up display screen sits behind the instrument cluster to allow the driver to keep his eyes on the road while monitoring vital information like current speed and fuel level. As we can see from the pictures, the Concept Compact also has a clear roof that would make road trips at night a complete joy. All functions located on the steering wheel, center console, door panels, center stack and even the inside and outside door handles are back-lit and touch sensitive, so no more “pressing of buttons.” The infotainment system is likely programmed with the latest phone integration software and navigation system available. BMW has made no mention of what will motivate the Concept Compact. I would suspect a variation of BMW’s 1.5-liter, three-cylinder engine. In the 2 Series, the engine puts out 136 horsepower and 162 pound-feet of torque. In the 1 Series the 1.5-liter puts out 109 horsepower and 132 pound-feet of torque. Either of which would be mounted to a front-wheel drive transmission. Give the compact design of this concept, even 109 horsepower would be sufficient power to propel this car down the road. The car for a new generation. As great growth potential can be seen in the Chinese premium compact market, BMW has conducted in-depth observation and research for the segment’s development trends and target customers. 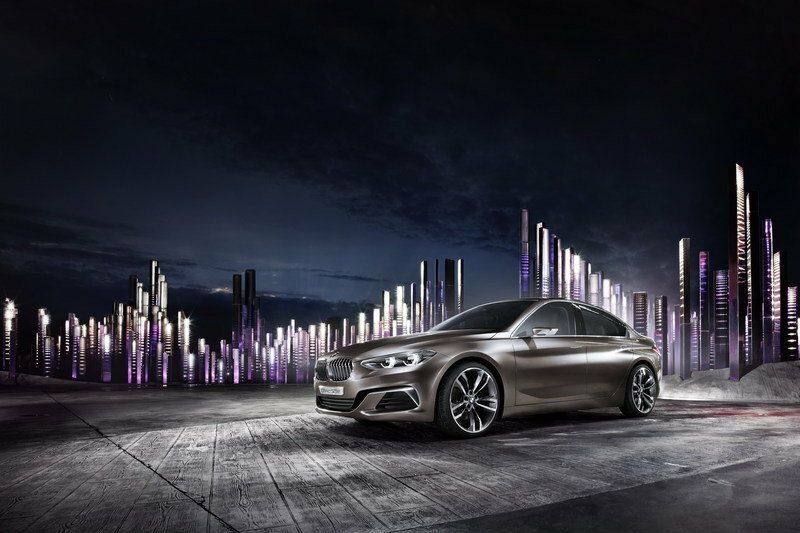 The BMW Concept Compact Sedan represents the approach to life of a generation of youth in China. These potential customers are confident, dynamic and extremely quality-conscious and have a feel for aesthetics. 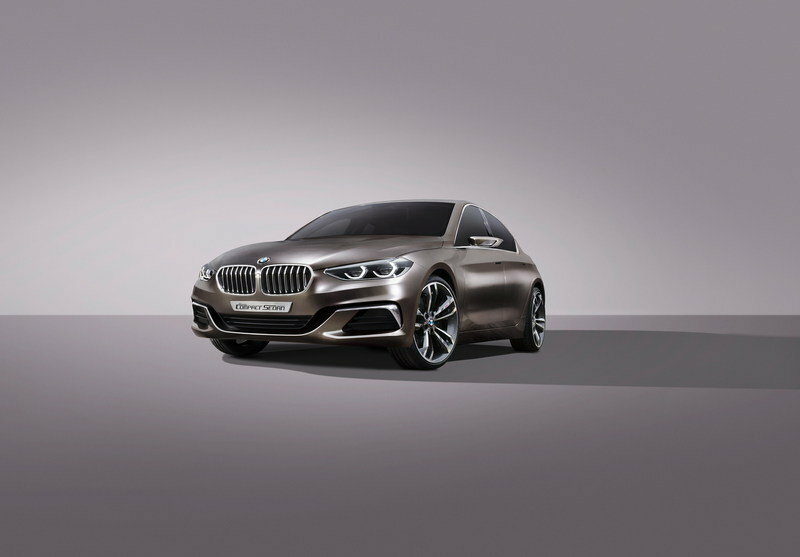 “The characterful design of the BMW Concept Compact Sedan embodies the driving pleasure offered by a sporting car with minimised exterior dimensions. It is as distinctive as it is essential – and, as such, it injects new life into the compact segment. 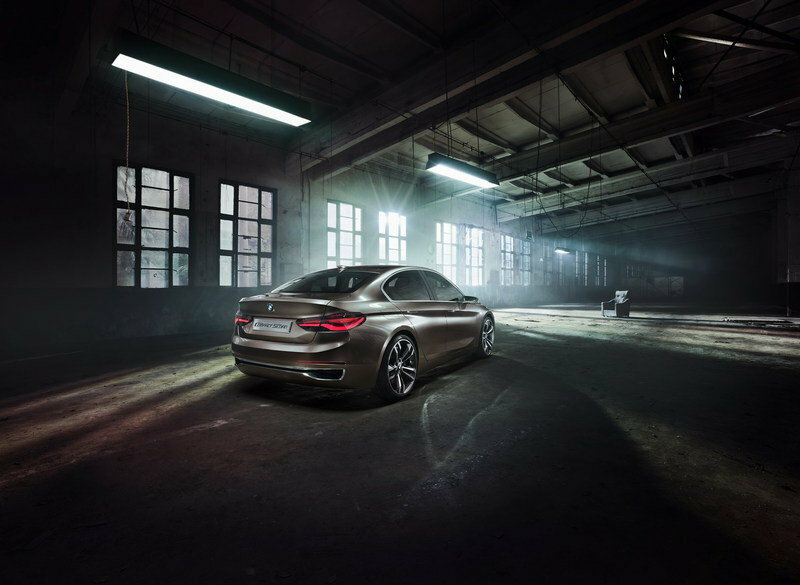 This four-door sedan stands for everything that sets BMW apart,” explains Karim Habib, Head of Design BMW Automobiles. Fitting the BMW template from every angle – the exterior design. 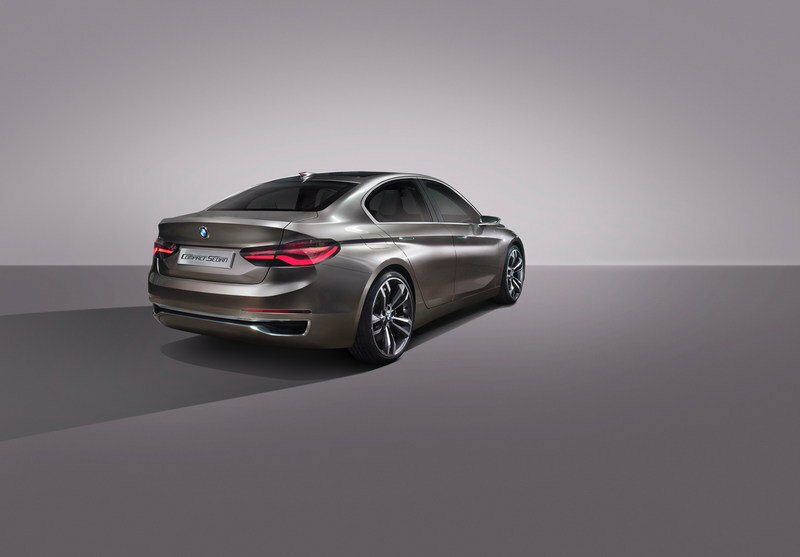 The compact and agile exterior of the BMW Concept Compact Sedan creates a familiar sedan silhouette based around a striking three-box design. Hallmark BMW proportions imbue the car with a dynamic allure unrivalled in its segment. Its sweeping bonnet and long wheelbase stretch the car visually, while the slightly set-back greenhouse further underlines its sporting nature. The clever use of time-honoured BMW elements, such as a long, prominent swage line, dynamic Hofmeister kink and surfaces moulded with impressive depth, ensures the car cuts an athletic figure from the side and highlights its relationship with other BMW vehicles. 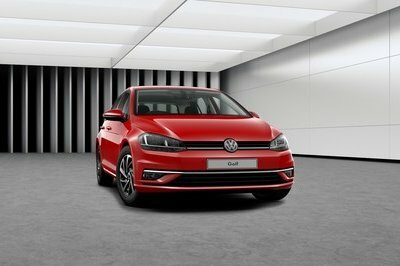 The four doors are integrated harmoniously into its proportions and allow easy entry for the driver and all passengers. Discreet soft-touch handles below the swage line open the doors as soon as a finger touches their metal surface. Precise edges and contours form dynamically chiselled surfaces, reflecting an assured interplay between light and shade that lends sculptural depth to the flanks of the car and conjures images of tensed muscles. The flared wheel arches rise out clearly from the body as it tapers in towards the road and further strengthen the impression of athletic intent. The exclusive exterior paint shade Liquid Metal Bronze adheres to the surfaces of the body like cast metal. The fine pigments in the paint shift between light and dark depending on the incidence of light, showcasing the car’s attention-grabbing design language to maximum effect. The window surrounds and the weather strip-style exterior mirror stalks in polished aluminium are a classy flourish, while the exclusive 20-inch light-alloy wheels in intricate double-spoke design form a visual highlight with their bi-colour design and set the seal on the side view. Front and rear ends exude undiluted dynamic allure. The designers have emphasised the width of the slim front end and ensured it picks up the sporting baton from the car’s flanks. Its signature kidney grille and eye-catching twin circular headlights instantly identify the BMW Concept Compact Sedan as a BMW. The familiar form of the kidneys and their size convey the car’s distinctive character: a seamless fusion of agility, sportiness and elegance. The hexagonal, dynamically “sawn-off” twin circular LED headlights on either side point inwards towards the kidney grille, creating a visual link between the kidneys and headlights that lends the car a purposeful look. The V-shaped central air intake is the starting point for a pervading design theme which splits the lower section of the front end into three sections and gives it a broader appearance. Surfaces merging into one another and stacked in different layers, and the interplay of those levels, lend extra depth and dynamism to the design. Like the front end, the horizontally structured rear also makes a clear sporting statement. Lateral lines and a vibrant interplay of horizontal light and shadowed surfaces accentuate the width of the rear end and at the same time make the car look lower. The slim, elongated string of rear lights, with their prominent L shape, take this process a step further. An LED light element in the shape of an “L” inside the lights makes the characteristic light contours visible at night as well. The confidently sculpted rear apron reduces the gap between road and rear end, while a chrome insert that widens towards the outer edges of the rear apron adds a classy accent. Sporty lightness and modern exclusivity – the interior. 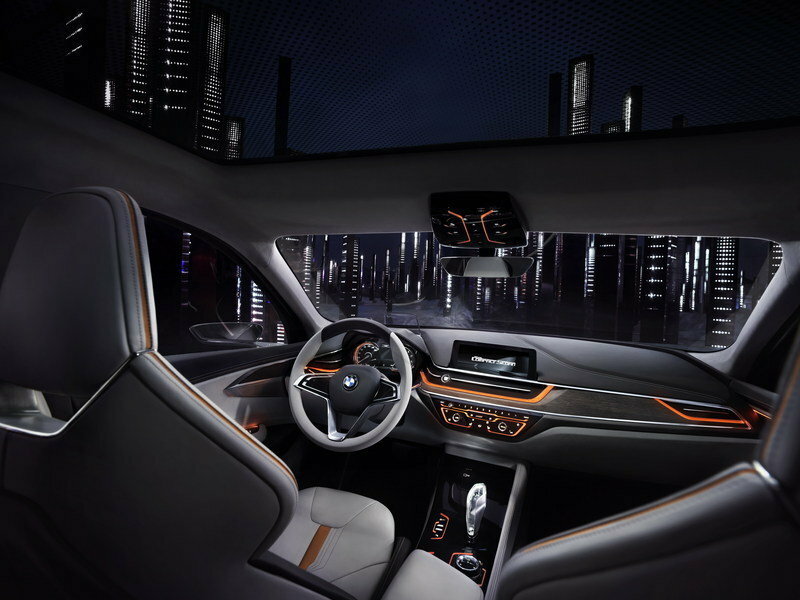 Glance into the interior of the BMW Concept Compact Sedan and its BMW family ties are immediately evident. The cockpit radiates a clear driver focus: all the lines, forms and controls are geared towards the person behind the wheel and their needs. This is highlighted by the prominent lines that converge in the direction of travel either side of the steering wheel. The resultant “cone of vision” sets the tone for the driver’s area as a whole. The form of the horizontal, nozzle-shaped air vents and their internal structure continue the theme. The “cone of vision” tapers into a Head-Up Display with combiner screen, which projects all the relevant information into the driver’s direct field of view. Elongated horizontal lines and surfaces creating a generous feeling of space provide a counterpoint to the cabin’s driver focus and sporty styling. For example, the instrument panel on the front passenger side extends into the doors in an elegant, horizontal movement, creating an inviting ambience for passengers. Exclusive Nappa leather, open-pored wood and brushed aluminium form an attractive triad of materials spreading across the whole of the instrument panel, whose leather-covered top surface with contrast stitching is a feature normally the preserve of luxury sedans. An unbroken insert in polished aluminium provides for a classy surround for the instrument panel, while orange-coloured contour lighting further accentuates its character-defining contours at night. The doors’ design picks up the instrument panel’s horizontal lines and extends them into the flanks of the car in a dynamic sweep. The front door, for example, extends visually into the B-pillar and makes the interior feel bigger. Indeed, the cabin offers an unaccustomed level of space and openness for a car in this class. The sporty seats, which in the rear suggest two individual seats, further enhance this impression. Covered in naturally soft Nappa leather in warm Ivory and Grey Brown, as well as Muted Brown, they offer unbeatable comfort. Accents in Velocity Tulip – a snug shade of orange – underline the sporting geometry of the seats, which take their cue from racing buckets and accentuate the sporty character of the vehicle while at the same time meeting the comfort requirements of a premium vehicle. Beyond this, the large panoramic roof floods the interior with natural light and extends the space above the passengers’ heads to underline the generous feeling of roominess. All the technical features of the BMW Concept Compact Sedan are integrated into its interior design with polish and refinement. Mechanical operating elements modelled to flawless ergonomic effect – such as the climate system controls, gearshift lever and iDrive system – extend from the super-smooth surfaces. All the other functions on the steering wheel, centre stack, centre console and door openers are operated using backlit touch-sensitive surfaces, whose high-gloss black surfaces provide a highly exclusive interior ambience when switched off. In addition, a “combiner” Head-Up Display and 8.8-inch screen in the central information display contain all the information required at any one time. The rear compartment of the BMW Concept Compact Sedan vividly reflects the importance attached to passenger comfort. Despite the car’s compact dimensions, the rear – which is designed to accommodate two people – welcomes its passengers with a bright and expansive feeling of space. Its exclusive materials, high-quality workmanship and warm Ivory and Muted Brown tones, backed up by accents in Velocity Tulip, create an inviting ambience. Visually, the rear bench suggests two individual seats and offers passengers ample space in which to spread out. At the same time, its form sees the sporting flavour of the front seats spilling over into the rear. The panoramic roof, which extends a long way back, and the ivory-coloured roof liner ensure the second row of seats is likewise bathed in a light and almost airy sensation of space. At night, the contour lighting extending into the doors accentuates the function islands of touch-control door openers, touch-sensitive window controls and loudspeakers. A separate climate control unit in the rear-facing surface of the centre console adds the finishing touches to the high-comfort rear accommodation.